Peanuts in the shell, roasted and lightly salted. These are top quality peanuts that we dry roast in house with our artesian small batch process. We love to open them, hear the crack and then pop the peanuts in our mouth. In-shell peanuts are great at the ball game. 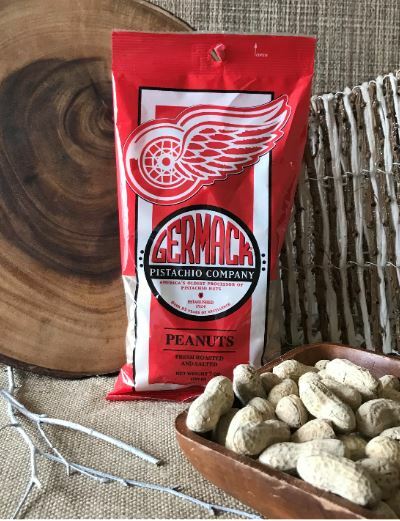 Pick up your Germack peanuts at Little Caesars Arena - the bags are logo branded to show your support for our Detroit teams.